“I will give you a talisman. Whenever you are in doubt, or when the self becomes too much with you, apply the following test. and ask yourself if the step you contemplate is going to be of any use to him. Will he gain anything by it? 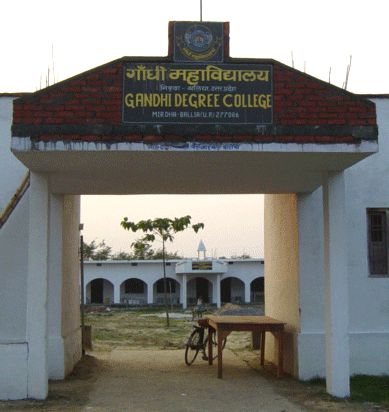 Gandhi College was established in 2000 by Chandran Gramin Vikas Sansthan (CGVS), a non-profit society registered in India.